TsKIB SOO, a subsidiary of the well known Russian firm KBP Instrument Design Bureau, decided to try removing the stock from their MTs-255 Tactical Revolver Shotgun and cutting the barrel down to 7.87". 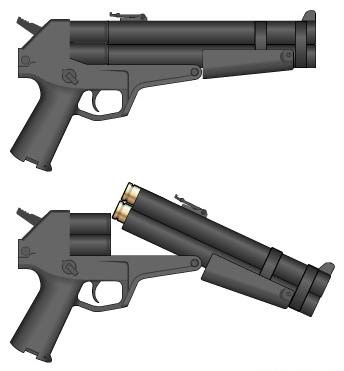 The result is the OTs-62 12 Gauge "Service Revolver Shotgun". 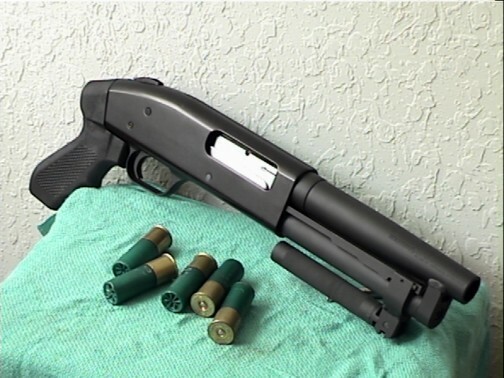 It was designed for law enforcement and special forces to use with 12 gauge less-lethal rounds, of which its giant cylinder holds five. Unloaded it weighs 5.5 lbs! I exhausted all my Russian industry contacts trying to find high-resolution photos of this monstrosity, but to no avail. Nobody has seen this revolver. I suspect nobody ever will.